For this month's Secret Recipe Club, I was assigned to Nicole's blog, Daily Dish Recipes. Do you know that Nicole has a houseful of FIVE teenagers? That's a lot of hungry people to cook for. Luckily, from the looks of the recipes on her blog, she is a fantastic cook and baker. I still want to make her Skinny Baked Beignets, and her Spiced Gingerbread Gooey Butter Cake. But, for now, I settled for the Spicy Gingerbread Loaves. 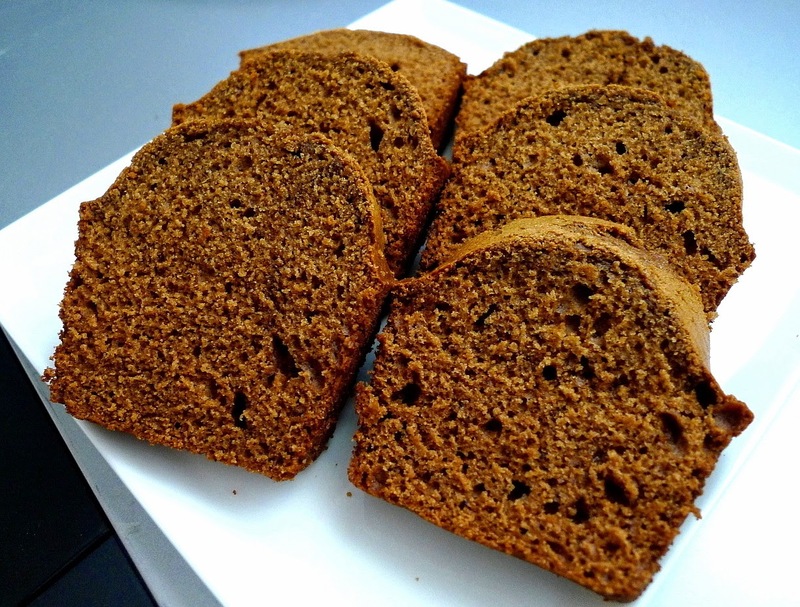 I absolutely love gingerbread with that lovely dark, spicy flavor. I think I may love it even more than chocolate (egads!). So, I absolutely had to choose this for my assignment. This gingerbread may look simple, but sometimes simple things are the best. The complexity comes in the taste, where you get a harmony of spicy flavors all mingling on your tongue. I could eat piece after piece of this and be perfectly happy. Since I did not alter anything from the recipe, I'll link you over to her blog so you can check it out HERE. Thank you Nicole for one yummy recipe!